Al Nasr Benghazi (D1) signed 26-year old American guard DK Eldridge (191-92, college: New Mexico State). 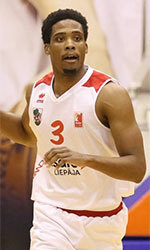 He played last season at KK Dynamic Vip Pay Beograd in Serbian KLS league. In 13 games he had 8.1ppg, 4.0rpg, 1.2apg and 1.5spg (in top 3). 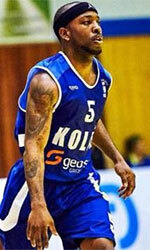 Eldridge also played 11 games in ABA League where he recorded 7.9ppg, 3.2rpg and 1.6spg. The previous (2017) summer he played at Garra Canera de Navolato (CIBACOPA) in league. In 13 games he averaged 12.8ppg, 4.5rpg, 2.2apg and 1.2spg in 2017 season. Good year as he was named League Player of the Week. The list of the past achievements is quite long as among others Eldridge's college team won WAC Tournament for two years in a row (2014 and 2015). He has played also professionally for other Mexican teams like Correcaminos and Frayles de Guasave. Eldridge attended New Mexico State until 2015 and it will be his fourth season as a professional player.